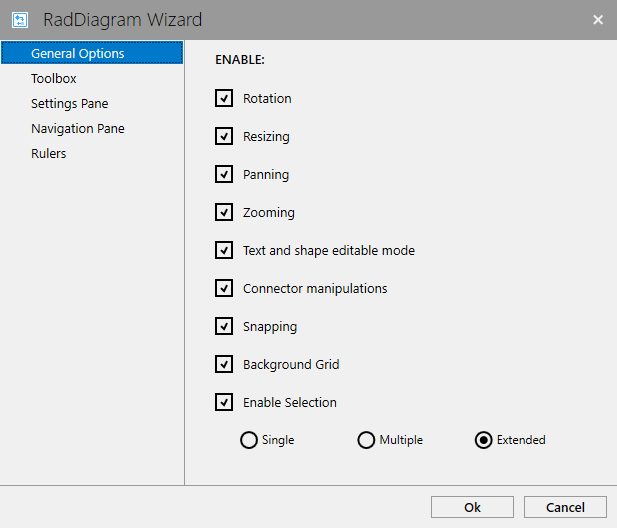 The RadDiagram provides the developer with the possibility to enable or disable many of its features when it is added through the Visual Studio ToolBox. This article will show which features of the control can be configured through the design-time wizard. 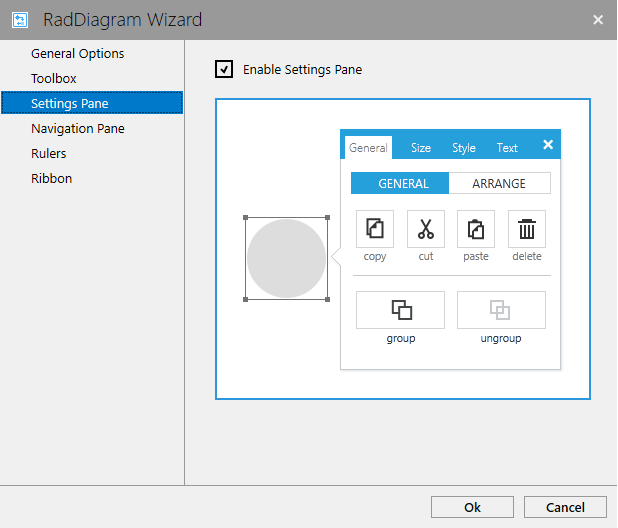 When dragging and dropping the RadDiagram from the Visual Studio ToolBox, you will be presented with a wizard which allows you to configure the control before adding it in xaml. 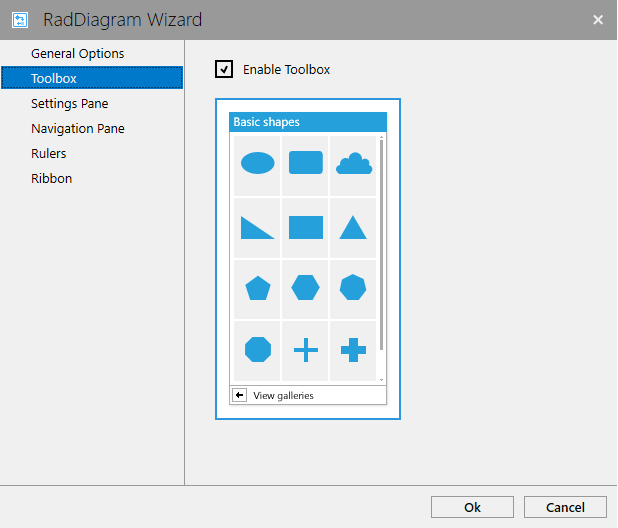 Enabling the RadDiagram Toolbox as demonstrated in Figure 2. Enabling the SettingsPane as demonstrated in Figure 3. 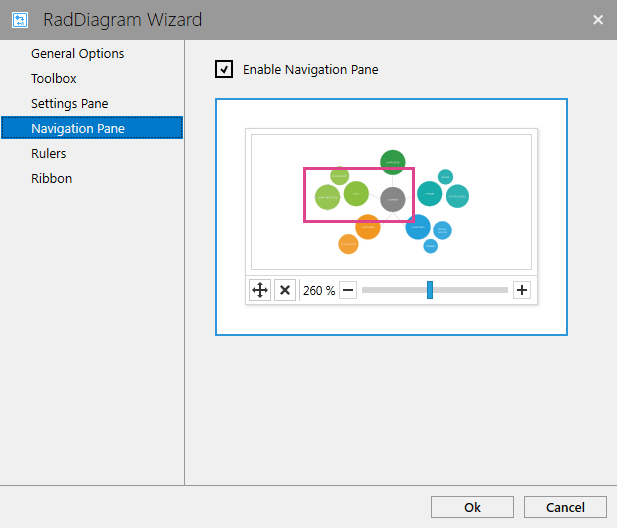 Enabling the DiagramNavigationPane as demonstrated in Figure 4. 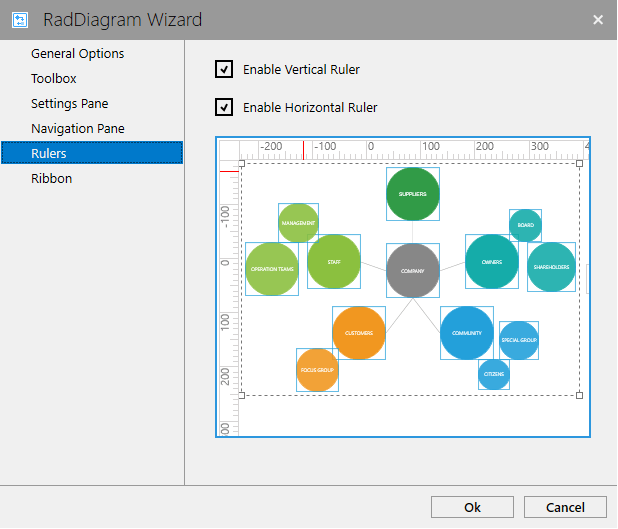 Enabling the RadDiagram rulers as demonstrated in Figure 5.